Mix all ingredients except olives. Blend well and form balls around olives. Bake at 400° for 15-20 minutes. Yield: approx 30 balls. 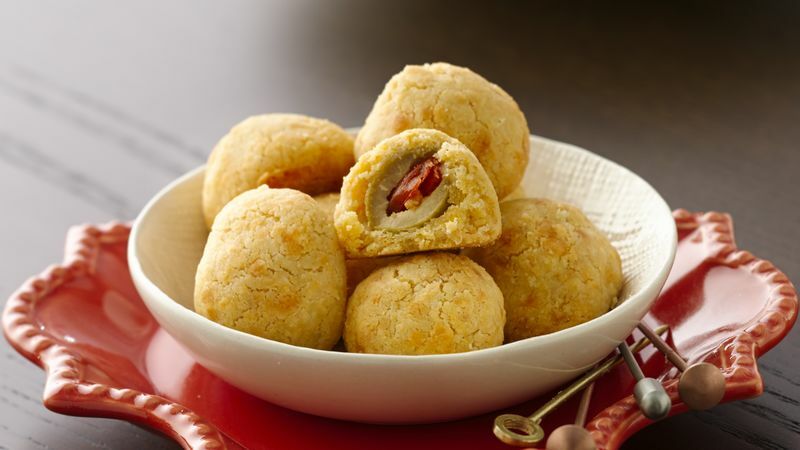 *Spiced cheese balls - Add 2 tsp paprika and 1/2 tsp dry mustard to above. © 2018 Grannie Frannie's Cookbook. All Rights Reserved.